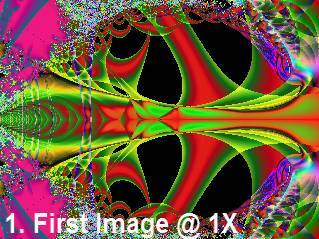 The only fractal software that I use is Tierazon. 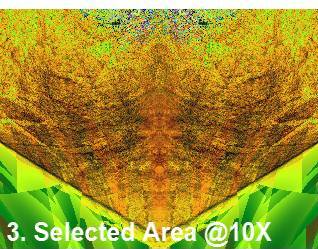 I do all of my work in an allotted screen area of 320 x 240 pixels. On my screen this measures about 3.75 inches (9.5 cm) wide. I started by choosing one of my few favorite ‘parameters’ (settings that primarily control color). I then created a unique mathematical equation and inserted it into Tierazon. This produced Image #1. I didn’t see anything interesting in Image #1; so, out of curiosity, I decided to see what existed surrounding the outside of Image #1. Image #2 was found directly adjacent on the left side of Image #1. Then I decided to see what existed in the upper right hand corner of Image #2 (where the arrow is pointing). This resulted in Image #3 (which is a 10X magnification). I noticed that this area had perfect left/right symmetry with a lot of different detail. 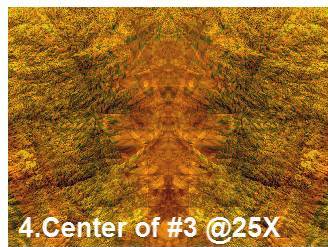 I then somewhat scrolled down along this line of symmetry using a 25X magnification and found Image #4. At the center of Image #4 I felt that I could see a ‘realistic’ image. 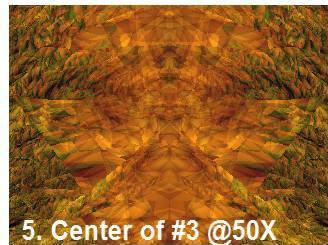 I confirmed this by making a 50X magnification of the center area and produced Image #5. Having decided that I found an acceptable image, I then had the software recompute Image #5 but at a larger pixel size (640 x 480) for much greater detail and resulting in the “Final Enlargement”. I then used this image in a ‘photo editing program’ in order to ‘color enhance’ the image so that it would be easier to interpret by a random viewer. 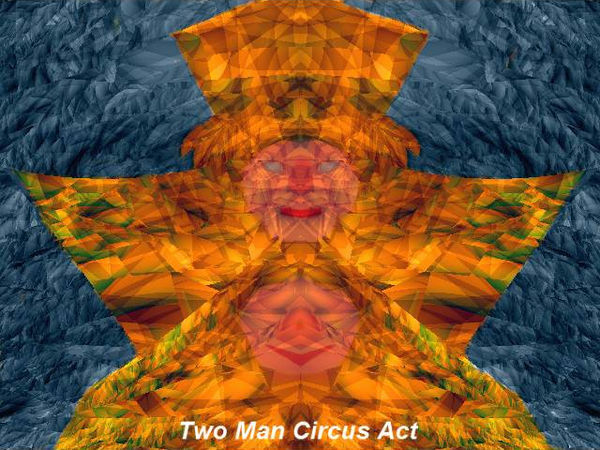 This became “Two Man Circus Act”. 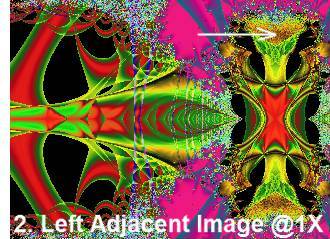 You will note that a transparent blue tint has been applied to the background but the underlying fractal image is unchanged. Also. 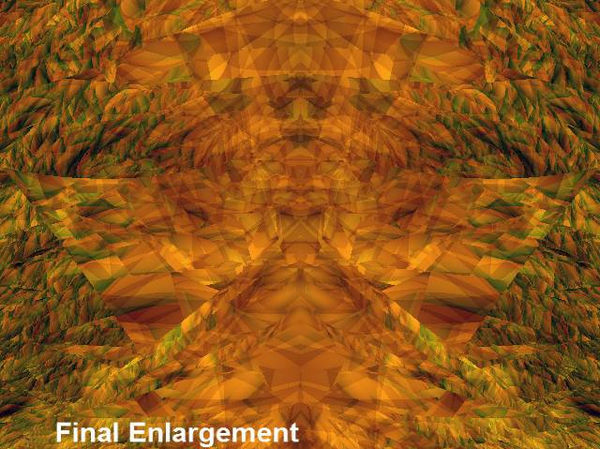 transparent ‘flesh-tones’ tints have been applied to the faces but the underlying fractal image (eyes, noses, mouths, etc.) is unchanged. The technique that I’ve described above is a generalization of what I do for almost all of my fractals.